Several months ago I backed the Adventures in the East Mark Kickstater by Extra-Dimensional Publishing on one premise alone, it was a variation of 80s D&D Red Box set that I grew up with. I was hopeful that it would be identical or at least similar to the Red Box. Finally, I got a chance to really dig into the book last night, despite having the box set here for more than a few weeks. I am very happy with what I have read. It is very much in the vain of the Mentzer Red Box set with some twist and turns that are wonderful. – There are some new classes (Explorer and Paladin). – The Fighter is now the Warrior and the Magic User is now the Mage. – The Monsters included in the book include many of the classic and run of the mill monster denizens, but there a many new creatures that are specific to the East Mark. 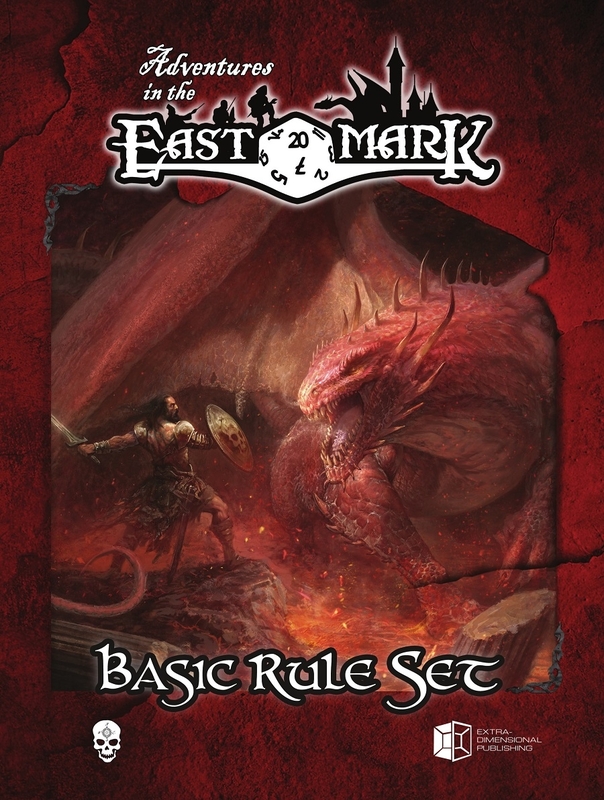 – Includes the basic framework for the East Mark campaign setting. – Unlike the Mentzer Box Set, it does not have a solo adventure. – Includes combat rules for Defensive Fighting and Charging. – The artwork in new and very evocative. What do you get in the box set? – Game Master Screen in full color. It is very sturdy with a cardboard core for rigidity. – One crayon to color in the dice. The origins of this box set and campaign setting began in Spain with Pedro Gil. The material was original printed in Spanish and distributed only in Europe. X-D Publishing was able to get the permission to translate and publish this material in the U.S. The team they assembled did a great job with the translation. I only noted a few oddities that could have been translated better or should have been caught by a continuity editor. I should warn readers that the box set is set at $59.99 MSRP. The price is a little steep especially when we compare it to other similar box sets on the market. In summary, this is much like the original box set that I grew up with, but it has enough of different feel that really appeals to me. 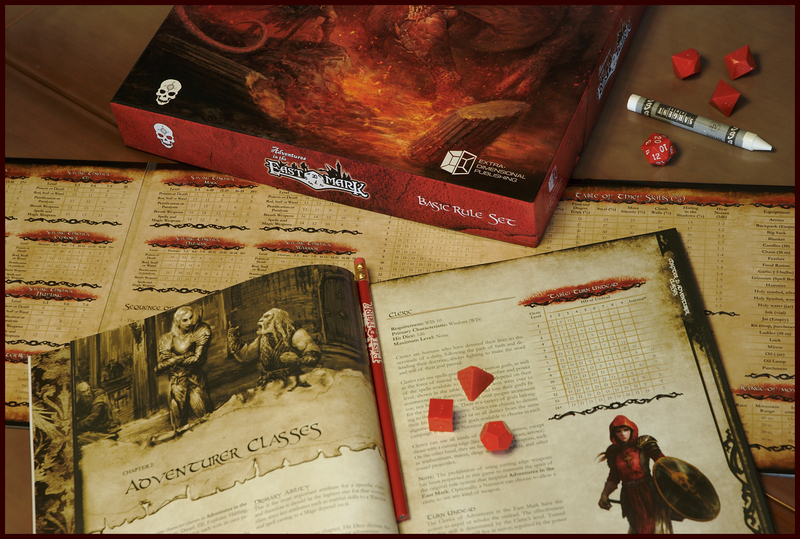 I am really looking forward to getting this to the table and running some players through the introductory adventures. The campaign setting has a great new feel to it and I think it will make a great basis for future games. Previous Post Gaming and Drinking! What are your thoughts? Next Post NO GENCON or Bust!